Looking for a great way to advertise your Ontario event in advance? 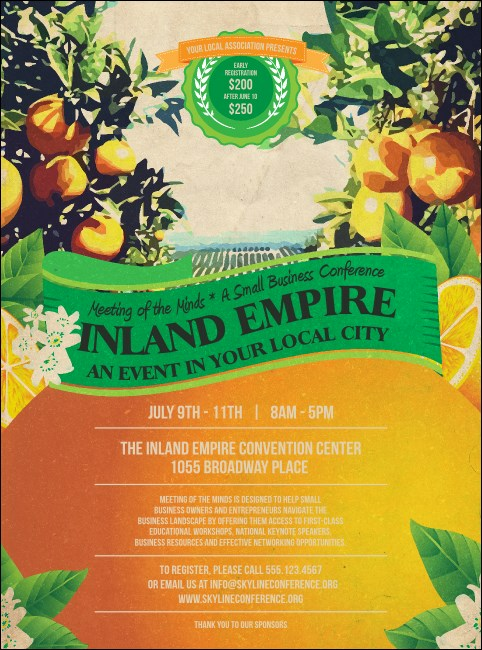 Get the most out of your San Bernardino County pre-event promotions when you print Inland Empire Flyers in advance. Build an empire out of your event with Flyers that feature a gorgeous orange grove background and twenty-one lines of text. Get the best event promotions in Southern California at TicketRiver.com.au.